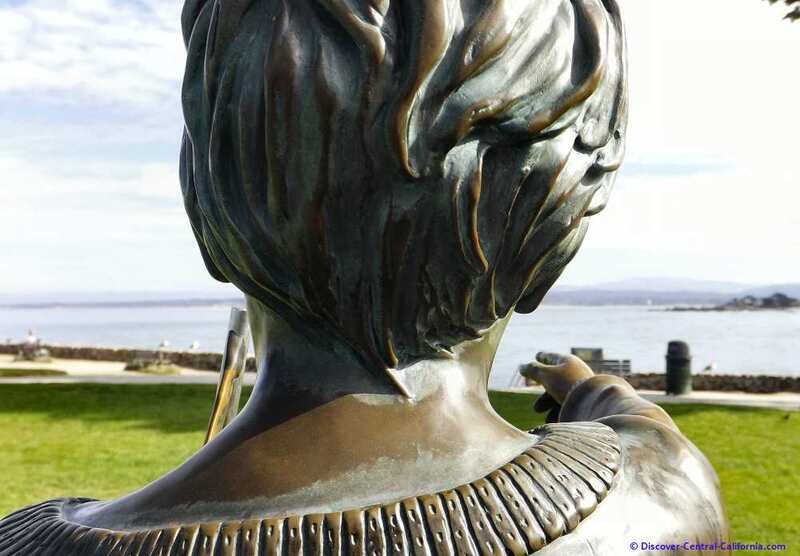 Lovers Point Park and Beach is a great place for most any sort of fun beach activity. 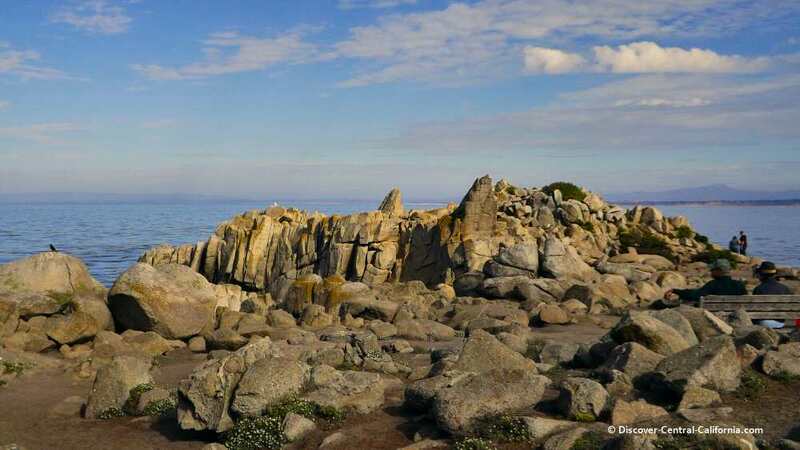 Located near the Monterey Bay Aquarium, this point faces east and affords one of the rare spots in Central California where a sunrise over the water can be enjoyed. 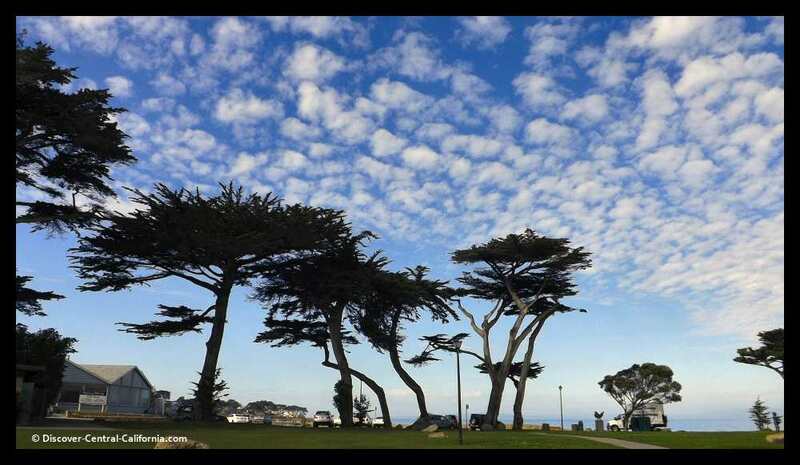 This park is also the western end of the Monterey Bay Coastal Trail, which extends all the way north to Castroville. A previous Photo of the Week selection. 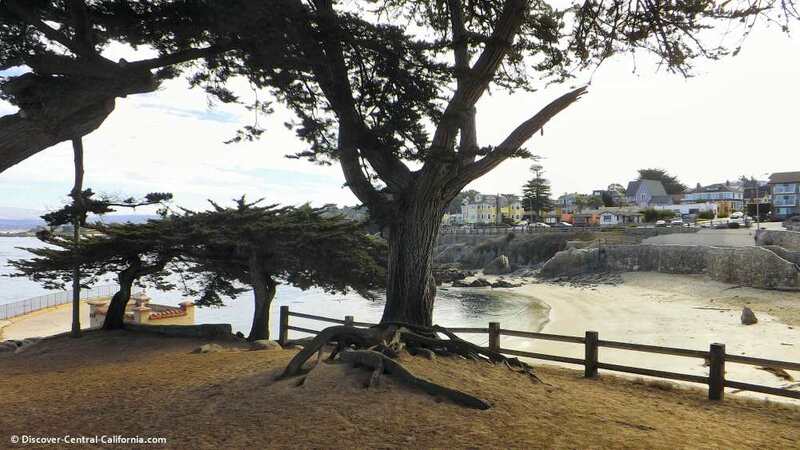 This park and beach in Pacific Grove seems to typify the "densely packed" quality of the Monterey Peninsula. Certainly not in the sense of lots of people and cars as you would find in Southern California. Rather in many available activities and amenities that are found in close range to this wonderful spot. 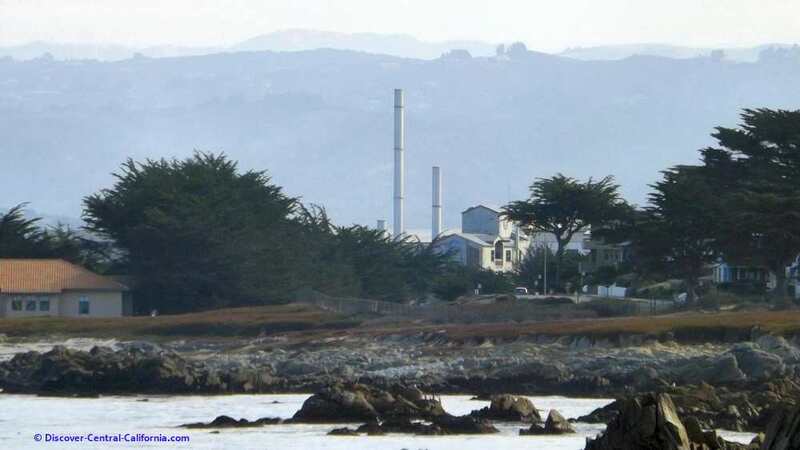 The Monterey Bay Aquarium is located just a mile to the east of this point and is visible from here. 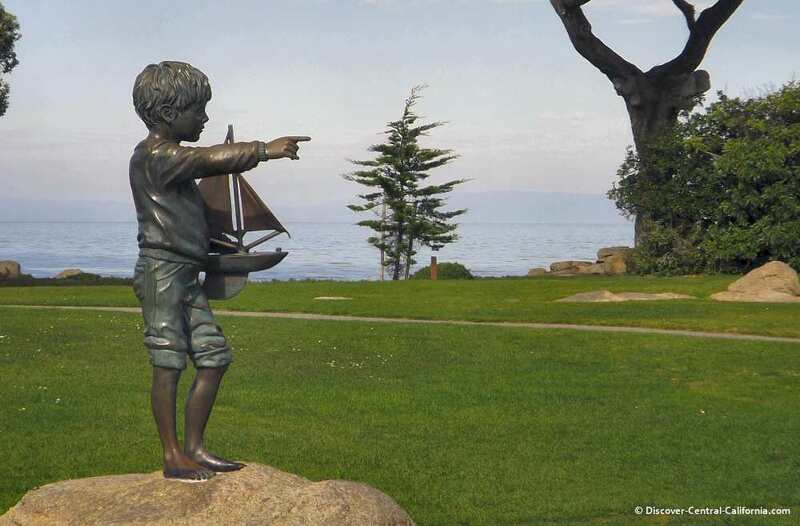 All the great lodging and eating establishments in Pacific Grove as well as Cannery Row. I have three pages outlining fun activities at the beach and the only things not available here are sand dunes and horseback riding. Everything else from biking to tidepooling and walking with a bit of rock climbing thrown in. 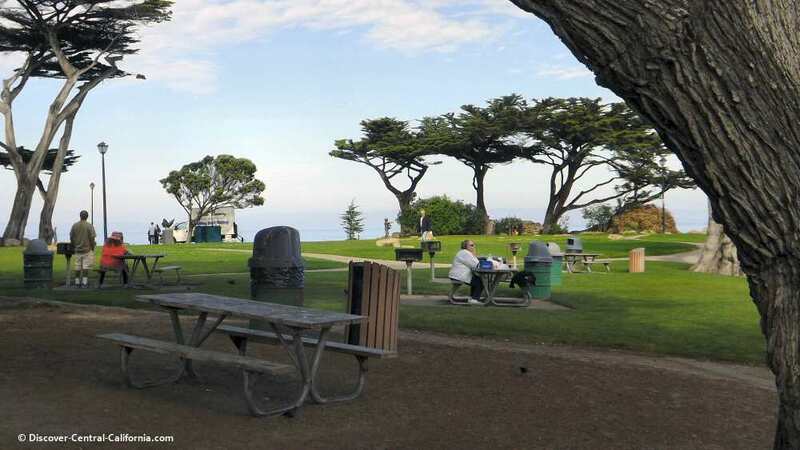 This park is a lovely place for a beach picnic with great views of Monterey Bay and the beaches to the north. 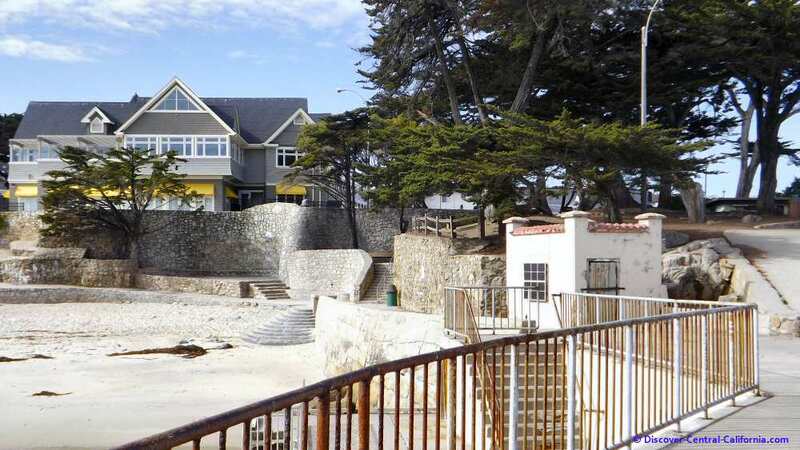 A view of the cove, beach and homes along Oceanview Boulevard in Pacific Grove. This location is also very popular with couples as a spot for their weddings. If you increase the size of this photo (click once on it) you can see the photographer and the newly wed couple posing for photos with the rocks in the background. Looking to the west from the jetty you can view the seawalls that surround one portion of the beach, as well as the Beach House Restaurant. 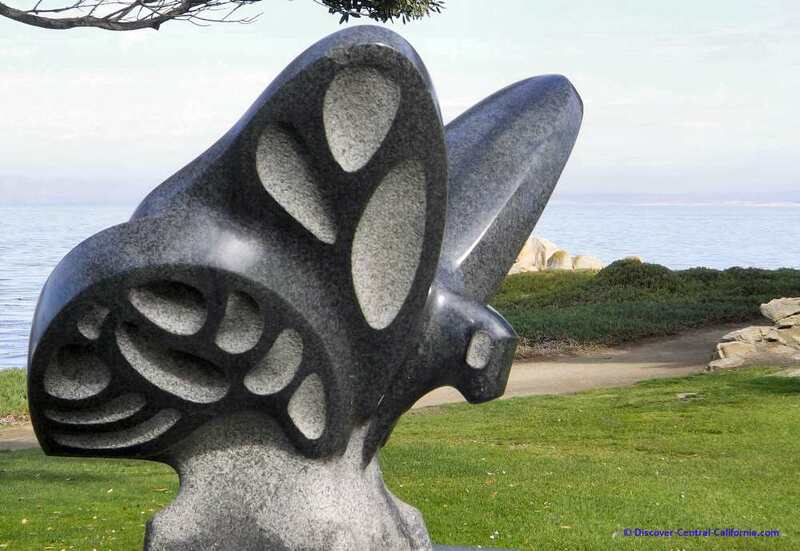 Pacific Grove has taken the nickname of "Butterfly Town, USA" in honor of the thousands of monarch butterflies that migrate here from the western US. The monarchs spend the winter here in the Monarch Sanctuary located less than a mile from this park. The butterflies congregate there starting in October and begin to mate and leave in February. It's a sight to see, especially on a sunny day when these insects leave their clusters and begin to fly around. 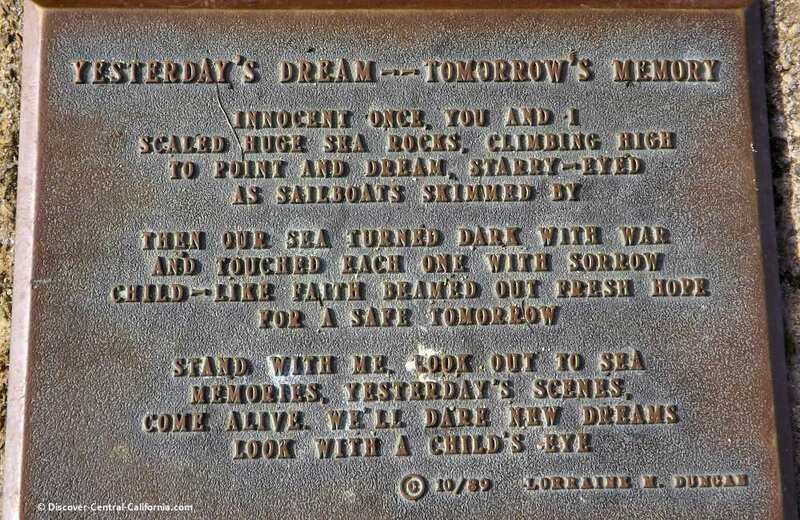 More art work is to be found at this park (I did say there was a lot to be seen here) with this fetching statue and the poem on the plaque below it. The boy's point of view. 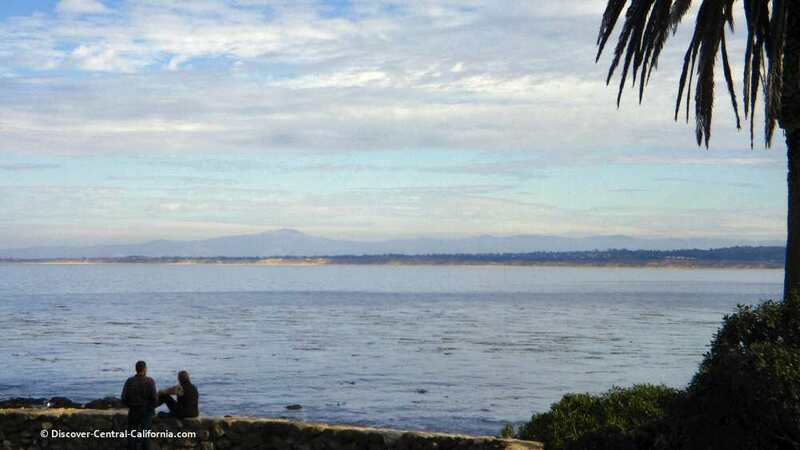 Another lovely spot in the park here to sit and watch the changing mood of Monterey Bay. This park is also one of the ends of the Monterey Bay Coastal Bike Trail. This dedicated walking, running and biking trail is built on an old railroad right of way. 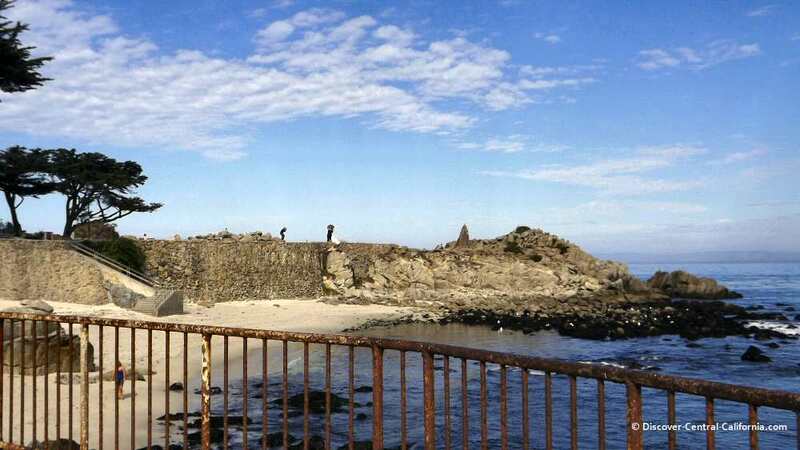 It extends from Lovers Point to the coastline past Marina that you can see on the opposite side of the bay in the photo above. This is one of the real treats when you visit this area. Walking or biking affords you a completely different view of places. A slower pace is what getaways and vacations are all about.